Hotel De Las Americas features a restaurant and a bar/lounge. Room service is available. The hotel serves a complimentary breakfast. This 3.5 star property has a 24 hour business center and offers a meeting/conference room, secretarial services, and limo/town car service. Complimentary wireless Internet access is available in public areas. The property has a shopping center shuttle, which is complimentary. Business services, wedding services, tour/ticket assistance, and translation services are available. Additional property amenities include a concierge desk, multilingual staff, and gift shops/newsstands. This is a smoke free property. A total renovation of this property was completed in May 2007.150 air conditioned guestrooms at Hotel De Las Americas feature minibars and safes. Wireless Internet access is complimentary. In addition to desks, guestrooms offer phones with voice mail. Televisions have satellite channels. Rooms also include hair dryers and clock radios. 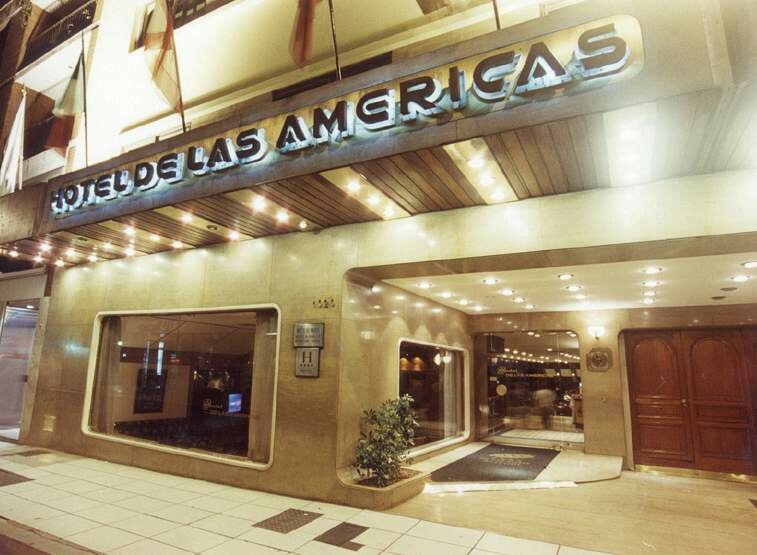 A nightly turndown service is offered.Hotel De Las Americas is located in central Buenos Aires, close to Plaza Libertad, Teatro Colon, and Obelisco. Nearby points of interest also include Plaza San Martin and Plaza de Mayo.